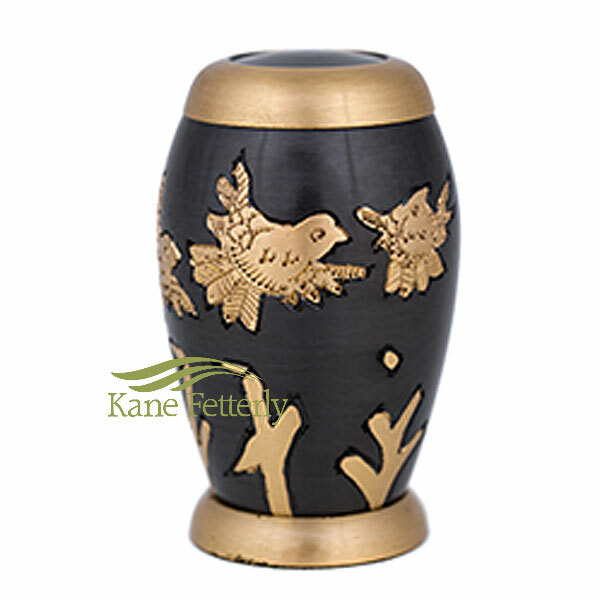 Brown brass miniature urn featuring gold doves flying above floral motifs. Top and base of the miniature urn are adorned with gold bands. Also available as full-size urn and miniature heart.